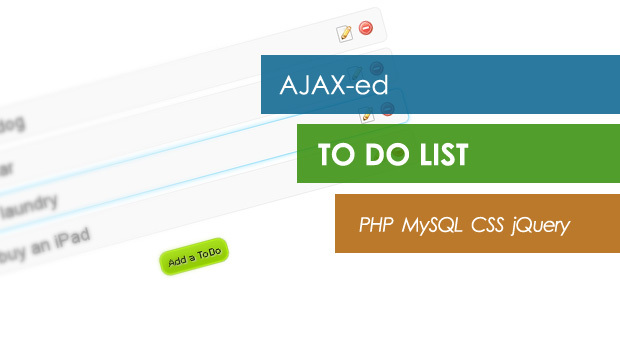 In this tutorial we are making a simple AJAX-ed Todo List App, with PHP, MySQL and jQuery. In the process we are going to demonstrate PHP’s OOP capabilities, play with jQuery UI and implement some nice AJAX functionality. For a better understanding of the steps of this tutorial, you an go ahead and download the demo archive available from the button above. In this tutorial you’ll learn how to use the exyus engine to build a simple task list web application. This also covers the process of defining HTTP resources using the XmlFileResource base class that supports basic REST constraints. In addition, you’ll learn how to define XSL and XSD documents to handle mime-types and PUT/POST validations for the resource. Finally, you’ll see examples of simple client scripting and CSS to add client-side functionality and styling to the web app. You can test the online version of the TaskList application. For this week’s Premium tutorial, we’ll be working with many different technologies. Ultimately, we’ll be building a to-do list that will allow you, or your user, to create, update, and delete items asynchronously. To accomplish our task, we’ll be using PHP and jQuery’s AJAX capabilities. I think you’ll find that it’s not quite as hard as you might initially think. I’ll show you exactly how! With an in depth tutorial, and 80 minute screencast, this one is not to be missed! I am going to write how to create an ajax message/todo system with Codeigniter. All the following features will be done with Ajax. And the message will be stored in a database. There will be Todo list and Completed list loaded with jquery. Adding a todo list without page reload. Clicking a link in a todo list will change to a completed list. There will be the same button in a completed list. This will change the status from complete to todo. It will slide up and removed. Todo list will fade out and in with a list from the completed list. Delete button will be added in completed lists. When you click this, it will be removed from the database and it will slide up and removed. In this two part series I’m going to show you how to make a simple to-do list in PHP, and then enhance it using jQuery’s AJAX and manipulation capabilities. This won’t follow any proper coding principles, but will give you the skills to adapt the code to fit your own situations. A todo list isn’t that far away from a simple threaded forum.